“No One Harms Me With Impunity” is Christ’s message surrounding the Shroud of Turin. This message has lasted for centuries. Sometimes, the hardest thing to see is right before our eyes. Dozens of scientific studies have been done on the Shroud. Some date it to Jesus’ day; and some place it in Jerusalem, given its bouquet of flower-pollen. Instead of looking at hidden meanings, or higher ones, we start labeling the plants with 13-letter Latin names; plotting them to indigenous locals; and triangulating them with statistics. But let’s just look at the obvious. The most dominant plant pollen on the Shroud is from a spiny, tumble thistle; sort of a “fearsome” plant, if you will; and not one necessarily appropriate for a burial, which has baffled some people, because of its presence on the Shroud. But it’s the most perfect plant of all. This little gundelia-tournefortii beauty makes up 40 percent of the total amount of pollen found on the Shroud. Botanist Dr. Avinoam Danin said that the percentage being so high could only mean it was physically laid on the Shroud, possibly at one event in Jerusalem. That’s plausible, given the circumstances. Jesus’ crucifixion was a known plot to get Him out of the way. He was taken in the night, tried in the morning, and His body nailed to the cross within hours. Although this event was prophesied in Scriptures, it was still one of injustice; and shook His Disciples. Living through it was almost unbearable. They knew He was the living Son; had left their livelihoods and families to help Him; and became ridiculed beside Him. Jesus entrusted them with something larger than their own lives, when He asked them to carry His message to the world. They were to go to the ten lost tribes of the House of Israel, who had been scattered to the “ends of the Earth”. The disciples had a message for those plotters and planners who crucified Him – “No one harms Him without punishment!” Justice will come. While there are legends how this motto came about, the message on the Shroud clearly lets us know its most ancient origin. The legend about the Knights of the Round Table is about Christ’s own cavalry, the original men charged with guarding His flock. From symbolism, we can see Andrew made it to Scotland. Trade and travel to the “ends of the Earth” didn’t start in medieval times, man had boats even back in the day. Mankind has been familiar with the art of sailing and astronomy for millennia. The disciples knew exactly where some of their ancestors had relocated to – and the isles afar off were free from Roman control and a safe haven for them, for a time. Somewhere in time, it looks like other knights emerged with a mission of chivalry, possibly with the disciples as their examples, but it’s probably safe to say that eventually “something went terribly wrong”. Their old Culdee lifestyle was overwhelmed by Roman customs, then New Orders set up by others with their own ideas of what is right, instead of what God says is right. It took the Romans quite a while to subdue the isles, but eventually it was successfully done through Church and State. 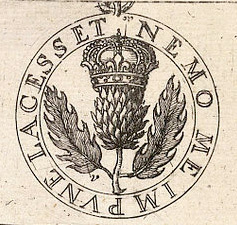 Yet, in that floral emblem – the Guardian Thistle – we see the remnants of Israel and can visualize a most noble clan, like the once pre-Roman kings of Scotland. 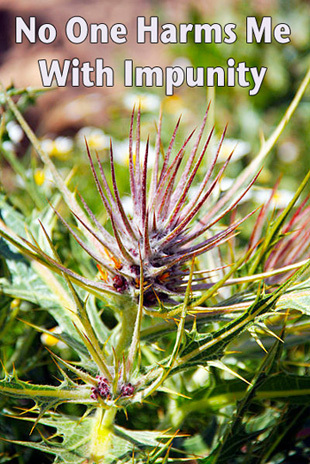 The thistle represented Israel scattered as seed; and for them, they called a thistle a “thistle”, with its seven letters. Queen over Bethel (the Stone) and Dan, – where they be scattered abroad. 1:2 Is not the Word made sure? – We are spread forth in alien places. Fire that was kindled in wrath – burns to the uttermost Hell. Cry in the night oh Judah. – Thy wise men covered their faces. Howl for thy young lions slain, – princes led captive to Bel (Babylon). 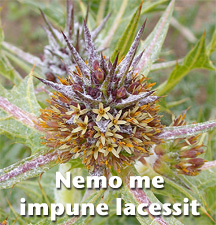 Sown as a thistle on earth is Jacob/Israel, – the names of us legion. The Hebrew language fails, – shall not be spoken by [the] Man. Teia Tephi, being the only surviving child of king Zedekiah from Jerusalem and the Temple’s first fall, made it to Ireland with Jeremiah, Jacob’s Pillar Stone, and The Ark of The Covenant. She married a high king of Ireland, from the Judah-Zarah red hand branch of Judah, who was ruling the Tuatha de Danaan, the tribe of Dan, who had continued to migrate north, once released from Egypt during Moses’ time. Teia disappeared into fairy tales, but her book gives a truer account of what she represented, and is linked below. This article isn’t meant to rehash all that’s known about the Shroud of Turin. The amount of information already available is enormous. Most of the information out-there is presented by dedicated individuals, with pretty impressive credentials. In fact, if all their credentials were listed in this article, it would grow into a book. Let’s just take it as a given that they are experts in their fields of study, which one can verify easily. The Shroud is the single most investigated article on Earth; and has been plagued by the much-refuted 1988 radiocarbon test, which was foreshadowed by Harry Gove, inventor of the then-new dating method. What the 1988 study managed to do was plant a thought in the recesses of most everyone’s mind – “the Shroud is a fake”. But the reality is that there’s a large amount of evidence to prove its authenticity, including spiritual markers, like the thistle. If we were to divide the evidence onto a set of scales, with one side containing evidence of forgery and the other side containing evidence of authenticity; the only item with any apparent weight on the forgery side is the radiocarbon date. Yet, has the balance in anyone’s mind been tipped? “You test the face of the sky and of the earth, and him who is before your face you have not known, and you do not know how to test this moment.” This is a verse from the Gospel of Thomas, a book rejected by the Church, yet is probably the most revealing book into the mystery of being human, and man’s discovery of being more than a body. Perhaps man’s study of the Shroud parallels his desire for knowledge, “because the spirit does search for all these, even the deep things of God”, as Paul put it. Maybe this is why what happened to Sue Benford was spiritually intriguing. A voice instructed her to go watch television, where she was drawn to a program about the Shroud. Benford believed that the face she viewed on the Shroud depicted the voice she heard. It was communicated to her that the sample used in the Shroud contained invisible reweaving from a repair made in the 1500s, trying to mend it from fire damage, which is on its historical record, as are two arson attempts in 1972 and 1997. It’s still here. Benford and Joe Marino presented her revelation to their peers, or fellow sindonologists, in 2000. Ray Rogers, who participated the 1988 radiocarbon-dating study and was on the 1978 Shroud of Turin Research Project (STURP) team, looked into their claims in order to disprove their hypothesis. But, he found evidence to support it. Over the years, more studies have been done – along these same lines – to prove the sample was contaminated in one way or another. Study findings are too lengthy to list, but deserve one’s attention for his own answers; especially because what one learns from the media is limited in scope and often false. And yes, there are scientists who report that it wasn’t rewoven or contaminated. For many who keep up with the Shroud, and in light of all the scientific evidence supporting authenticity, it’s now generally accepted that the 1988 sample must have been contaminated. Certainly, it can be argued that the labs weren’t even supplied a sample of the actual cloth in question: (1) given the fact there was a little behind closed-door action involved; (2) a fruitless search to find comparable samples with an identical weave; (3) the teeny piece given to the Arizona lab compared to what was given to Oxford and Zurich, which led to Arizona being given a second piece; (4) and the “touchiness” when it comes to later studies on fibers from the 1988 gathering. Textiles are hard to date, according to Prof. Pierluigi Baima-Bollone, speaking about the Sudarium of Oviedo, believed to be the cloth that covered Jesus’ head. “The result is not easy to interpret due to the well-known difficulties of dating textiles and to the conditions under which the sample was kept, when it was taken in 1979, until it came to us in 1983.” This quote is taken from an article entitled, The Sudarium of Oviedo and the Shroud of Turin, by Jim Dunning (sourced below). According to Dunning, Bollone spoke at the 1994 International Congress on the Sudarium. Dunning’s article also attributes another quote from the conference, “Textiles left alone in normal atmospheric conditions are prone to becoming highly contaminated… The Carbon dating should be nothing more than a stimulus to more precise investigation under better conditions.” Shouldn’t this rationale apply to both cloths? Interestingly, the Sudarium underwent further testing; and by 1999, it was determined to have covered the same head with the same blood type, stain patterns, and having the same pollens as found on the Shroud. Yet, radiocarbon-dating tags the Shroud between 1260-1390 AD and the Sudarium to 700 AD. When things don’t add up, people tend to keep looking for answers. As for the Shroud, there are some who adamantly support the 1988-study, literally putting all their eggs into that radiocarbon-dating basket for confirmation. Surprisingly, the official stance of the Roman Catholic Church falls into this group. Her official statement from John Paul II in 1988 was, “Since it is not a matter of faith, the Church has no specific competence to pronounce on these questions. 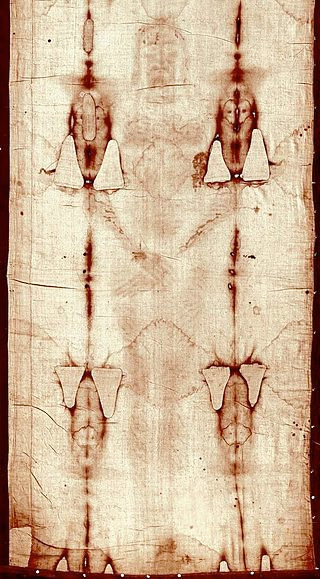 She entrusts to scientists the task of continuing to investigate, so that satisfactory answers may be found to the questions connected with this Sheet (Wikipedia: Shroud of Turin).” This is an oddly-crafted statement, because, wouldn’t all things concerning Jesus touch on faith, especially one that dealt with a burial cloth thought to be His? The pope mentioned “continuing investigation”, but so often the Church has rejected them. It did; however, perform a restoration in 2002, which was supposed to be held in secret; but an Italian journalist disclosed it, and the news went public. Scientists and researchers who had spent years studying the Shroud were not notified, or included in this process. Knowing this, one could deduce that other private studies were done and not disclosed, as the Church could certainly afford them. With all that’s been presented to the Church about the possibility of it being authentic, she ought to be appreciative, but instead she’s ignored a great deal of evidence. A layman might not expect the Church to play Devil’s Advocate, but this seems to be the case. What happened to Dr. Leoncio Garza-Valdez is an example. It was already determined in 1978 that there was blood on the Shroud, and Garza-Valdez claimed to have isolated DNA to be that of a man. The image was that of a man, thus 1 + 1 = 2 (let’s move on). When he faxed the information to the Church, he was ignored. This wasn’t the first insult. In 1993, Garza-Valdez claimed that the sample used in 1988 was contaminated with a natural plastic coating. He had used fibers taken by Professor Giovanni Riggi di Numana, who had been part of both official studies. Riggi was the microanalyst who cut the actual sample from the Shroud used in the carbon-dating process in 1988. It was well-documented that he had kept dust, particles, blood and fiber samples. In 1995, Cardinal Saldarini issued a statement saying that there was no residual material from samples in third party hands, thus the Church had to question if the material Garza-Valdez used was from the Shroud. Saldarini also added that if such material exists, it should be returned to the Church, as no permission had been granted for further tests; as though anyone needs their permission for anything. The Church repeated this same position in 2013, when Italian Professor Giulio Fanti went public dating the Shroud between 300 BC and 400 AD, using infra-red light and spectroscopy, in his co-authored book The Mystery of the Shroud. Did Archbishop Cesare Nosiglia insult this acclaimed scientist and his department at Padua University, when he said that there was no degree of certainty that Fanti used material from the Shroud? In the book, Fanti documented acquisition of Giovanni Riggi’s collection after Riggi’s death in 2008. The Church’s words and actions are conflicting. She treats the Shroud as if it’s the relic, yet calls it an icon of man’s capacity to cause human pain and suffering. This is somewhat ironic if one knows the history of the Roman Catholic Church, or even the scandals surrounding her today, such as child sacrificial rituals linked to a few resigning popes and clergy. In hindsight, the Shroud can be spiritually-dated, so to speak, using time-markers. Let’s look at the 1988 timeline, then a few others. First, it is worth mentioning that the Church did not inherit the Shroud, until the death of its owner, Italian ex-king Umberto II, in 1983, during the years when scientists were discussing carbon-dating it. When the Shroud was bequeathed to the Church, she gained control over all protocol dealing with it. This was demonstrated when she rejected the original protocol, announcing instead that only three labs would perform the tests and hand-picked her chosen three. Harry Gove went on record saying that changing the original established protocol could seriously harm the credibility of the results. And in a way it did, because that study has been dragged through the mud since then. April 21, 1988 – The test begins. This date marks the anniversary of Jesus’ crucifixion and the Second Passover, according to Passover Lamb, Not Easter Bunny by JAH, sourced below. The description reads much the same as when Jesus was cut down, when He became the first sheaf and the new wave offering. Symbolically, Jesus was the bread of life, made from grain, just as linen is made from a grain, represented by the Shroud. Reminiscent of the early morning trial by the clergy, the Shroud was removed at 5:00 a.m.; representatives to dis/prove its authenticity gathered in the cathedral at 6:30 a.m.; the next couple of hours were spent debating, as Riggi and Prof. Gonella, the scientific advisor for the Archbishop of Turin, argued with each other on where to cut the cloth. Finally, Riggi cut a piece off which was divided in two, with one piece of cloth cut into three, as if they represented Jesus’ garments at the scene of the crime. The remaining piece was kept and secured away by the Church. While all this is viewed and videotaped by those present, the placement of the pieces into their sealed containers is done in private; and the process completed by 1:00 p.m. The afternoon was spent with Riggi taking blood samples to be later deposited into a vault. By 8:30 p.m., about sunset, the sacrifice of the Shroud was completed, with its return to the casket. April 22, 1988 – The news of the taking of the sample is released to the world. This relates to the crucifixion because symbolically April 21st became “the day as to which you put the sickle to the corn”; and the next morning, April 22, was when the first perfect sheaf would have been presented. This date correlates with birthdates. For example, this is the 40th birthday of the State of Israel – when the Fig Tree officially took possession of the Holy Land in 1948, but would not bear fruit, as Jesus prophesied. This date sets a mark, linking the Roman Catholic Church to the Jewish Synagogue. For some, this may sound far-fetched, but according to Myron C. Fagan’s famous transcript about the Illuminati, it might not be. He said the Grand Sanhedrin instructed Jews to convert to Christianity in 1492, telling them to become doctors, lawyers, Christian clergy, and such, in order to bring the Christian world down. Biblically, 40 is a significant number, such as Israel wandered in the desert 40 years; “After the number of the days in which ye searched the land, [even] forty days, each day for a year, shall ye bear your iniquities, [even] forty years, and ye shall know My breach of promise (Numbers 14:34).” Each-day-for-a-year is a prophetic code, because sometimes the number of days means the number of years. With the Church’s recent clarification of the upcoming 2015 Shroud Exhibition, does this mean that she recognizes the code? Beginning April 19, she will hold the longest exhibition to date, being that of 67 days. Interestingly, this would correspond to one day per the 67 years of the modern State of Israel. It seems they are celebrating the State’s birthdate too, along with John Bosco’s Feast, a priest, popularly known as “Don”, who helped underprivileged boys and poor girls. Now, let’s travel back to 1978. Time travel is easy. The Romans learned to time travel long ago. We think this would require some pretty modern techniques; but it doesn’t. One just has to have the means to destroy a civilization’s heritage and rewrite their history. With no recorded history, or with it locked away, legends and fairy tales can emerge and even be embellished upon, like was done to Teia Tephi. With a little rewrite, the mighty Israelites became blue-painted pagan savages, a far cry from a once legion-status that the Romans couldn’t subdue for 100 years. Enough evidence is there, if one looks, and wants to believe in more than fantasy. October 13, 1978 – The first study conducted by the STURP team is completed in Turin, Italy, after five days of examination. October 13th marks the date of the 1307 dawn raid when Templar Knights were arrested in France en-masse. There are two sides to that story. One side is they were performing abominable acts – this one led to their execution and confiscation of their wealth. The other side is they defended Christ’s teachings and cherished some relics – this one led to their execution and confiscation of their wealth – just two sides of the same coin. By 1389, Bishop Pierre d’Arcis of Troyes, struck up a campaign to discredit the Shroud, claiming it was a painting: a claim that was later proven to be a lie. The Shroud’s history is filled with both nobles and clergy vying for possession. And because the Knights were entrusted to guard valuables, it is likely they were entrusted to keep the Shroud, which seems to be the logical conclusion, given in-depth research into historical documents from researchers like Ian Wilson. Interestingly, Trial of the Templars by Malcolm Barber, was also published in 1978. 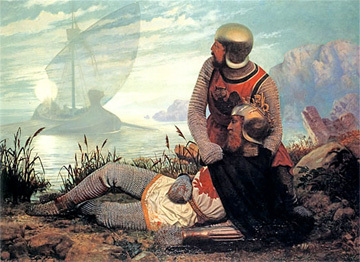 Some say the Knight Templars were in search of the Holy Grail, but maybe they were in search of what it represented. King Arthur’s Knights of the Round Table searched for it too. Spiritually, the Holy Grail represents immortality – something we mortals want. Jesus’ Resurrection demonstrated it; and His regeneration could have been captured on the Shroud. How the image was made is still a mystery, although scientists seem closer, now more than ever, to understanding the technology involved. 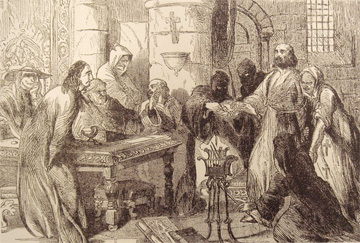 The months April and October as well as the number 13 reoccur when it comes to the Shroud and the Templars – right down to when we begin to hear things about them in the media. These could be spiritual clues from God; and they might also indicate that some behind-the-scenes people are a little superstitious. We should take notice in either case. Relating to the Shroud, for example, there is April 13, 2004. This is when we hear about Professor Fanti and Roberto Maggiolo’s research in finding the second image on the opposite side of the Shroud. This is the side that was uncovered during the 2002 restoration and photographed. 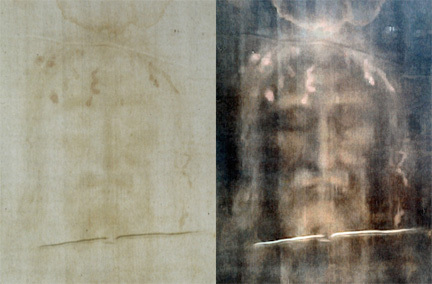 The second image corresponded with the face of the Shroud, because it was only on the uppermost fibers and had 3D qualities. In 2007, the Vatican issued a press release on Oct. 12th about a limited-edition book on the Chinon Parchment found in Vatican Secret Archives in September 2001, where Clement V had absolved the Templars of abominations and heresy, which should have led to the return of their confiscated wealth, but, surprise, surprise, it didn’t. This special book, Trial Against the Templars, carried a special price tag of about $8375USD. And while Archbishop Nosigila seemed to reject Fanti’s more recent findings concerning the “disputed” samples about which the Church is touchy; pope Francis gave an opening address to the Shroud television special that aired last Spring, featuring Fanti’s findings. The Church planned the television special to mark the 40th anniversary of the first one that aired in 1973. All of this back and forth could be just a matter of one group and its associates capitalizing on both sides of the issue – like oil barons and banksters profiting from fueling both sides of war; or a few businessmen donating to both political parties. Though spiritually, what’s going on is more than these planned maneuvers for money or power. Spiritually, there is a war going on – between Christ and Lucifer, which ends at Armageddon. 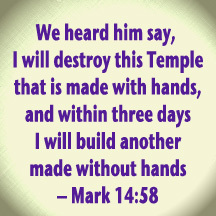 “And Sion (New Jerusalem) shall come (down out of the sky), and shall be showed to all men, being prepared and builded, like as thou sawest the hill graven without hands (not built by humans). And this My Son shall rebuke the wicked inventions of those nations, which because of their wicked life are fallen into the tempest (2 Edras 13:36-37).” 2 Edras was also removed from the Bible, as it’s a little more revealing that the last day might involve advanced technology, and not those puffy clouds painted on Cathedral ceilings. Christ will win in any military-styled war, because He simply has better technology; and His Force knew about cloaking before the world was. What He is capable of, and a small demonstration of His technology, was likely seen on October 13, 1917, in Fatima, Portugal. 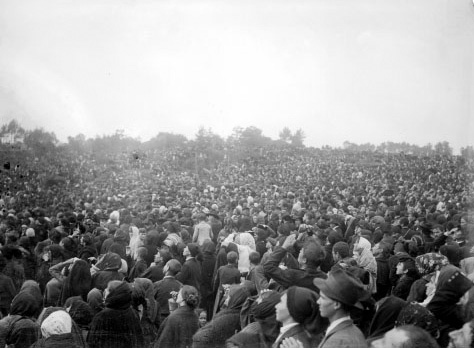 Leaving the Catholic embellishment aside and its hijacking of the event, let’s look at what happened in Fatima. Around 70,000 people showed up for this famous event – an event told of by a little girl named Lucia. The Being whom she was communicating with told her the date it would occur. And despite the rain, a large crowd of people waited to see this glorious event. Then suddenly, the sun shone through a thick cloud. Witnesses described what they saw as either a disk-shaped object, silver object, a pearl or polished wheel, whirling about itself. They said that it was hard to see because it was so bright, like the sun. The heat of it dried their clothes almost instantly. 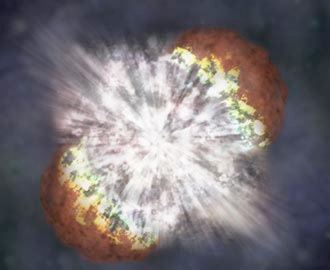 This sounds like a close encounter with something far more advanced than humans. Was the energy, capable of drying their clothes this quickly, also capable of creating an image just on the minute surface of the Shroud’s fibers? Jesus did say that He was not from this world. If this is literal, then one might ask what are we doing here? Man keeps trying to explain his existence with unproven hypotheses. Part of him refuses to accept the obvious. And until he can explain how the Image got on the Shroud using his own technology, he really won’t believe it wasn’t his technology that did it. Again, it’s really the one mystery left about the Shroud. “Jesus said: I tell My mysteries to those who are worthy of My mysteries (Thomas 11:1).” This would explain why some are given guidance and some aren’t, like Sue Benford being given a secret to unlock what had been shrouded in 1988. It certainly led to further investigation. October 13 is a marker for the 1978 study, but it also pertains to the official end of the 1988 study. On October 13, 1988, at simultaneous press conferences in Turin and in London, it was officially announced that the Shroud was a forgery – just a little example of Church and State in action, kind of like the arrest of those Knights’ Templar in the Fall of 1307. Yet, in what seemed to be a pre-emptive strike, on August 26, the London Evening Standard published the results citing a third party as its source, but there were accounts of the Oxford scientists leaking the information. From here, news spread around the world. This wasn’t the first pre-emptive strike in modern history, as one surrounds the 1978 study as well. Before the official report was given in 1981, Walter McCrone was purporting that the Shroud was a painting, as early as 1979, even giving a lecture on September 11, 1980, to this effect, which, not surprising, journalist Peter Jennings got wind of and published. Yet, the final report, compiled by the official team, claimed that it was not a painting, making McCrone’s pre-emptive campaign futile, but not forgotten, just like Bishop d’Arcis attempt long ago. Even the actions of the Church today mimic those in d’Arcis’ time, as his pope declared that, “the Shroud could be thought of as an object of devotion, but should not be regarded as authentic.” Pilgrimages to view it were quite lucrative. It’s amazing how history repeats itself. The Shroud isn’t a painting, which has been proven repeatedly. The idea that Leonardo da Vinci or even Michelangelo painted it is simply that – an idea, and a craftily planted one. When the image was put through a VP-8 Image Analyzer, as early as 1976, it created a 3D image with topographical relief based on its shadow and highlights. No photograph or painting can do this – that’s why man continues to study it, trying to reverse engineer the technology, so to speak. Some say man has managed to reverse engineer quite a few things from what they found at the Roswell Crash site in 1947. This would explain the explosion of our technological advancement from the 1950s on. Mankind needed to be brought up to speed. Plus, the final overturn of the Throne (Ezekiel 21:26-27) was planned for 1950, when the Scots took The Stone, as foretold by Teia Tephi in her Lament in Chapter 31. The overturn happened 2484 days/years after her death. In 1986, the year of the third trumpet, some holey information surfaced about the Hungarian Pray Manuscript. 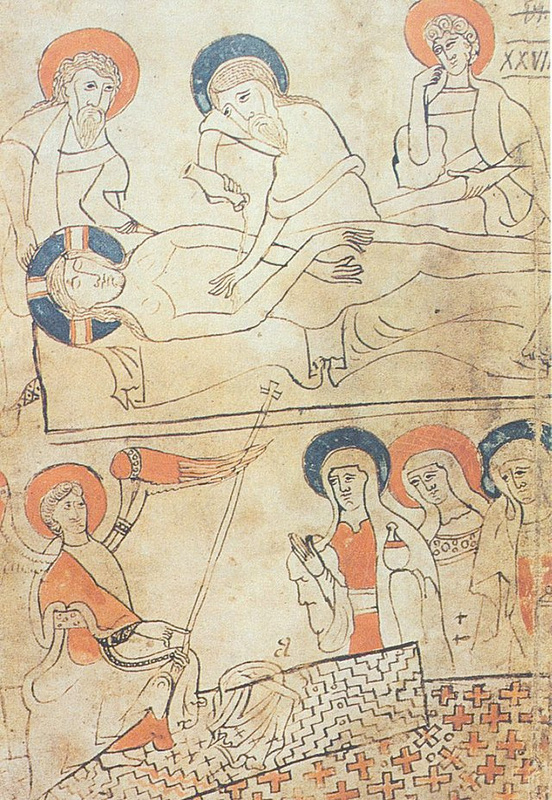 It’s an ancient manuscript of prose and art, featuring the entombment and resurrection of Jesus, which was discovered in 1770. It became more widely known after Ilona Berkovits published a book about it in 1969; the same year a secret 3-day examination was conducted on the Shroud. 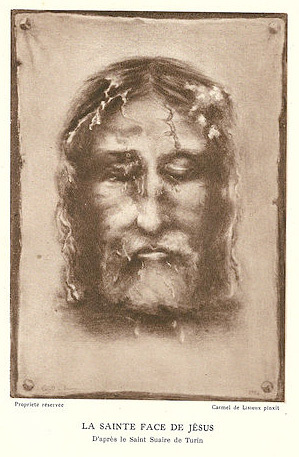 Historian Ian Wilson even noted the artwork in his book The Shroud of Turin, published in 1978. For the Shroud to be depicted in this artwork, it existed prior to the manuscript’s creation in 1192-1195 AD. This disproved the radiocarbon date, but was ignored. For the record, in 1986, a Dominican priest and philosophy professor was conveniently notified that the 4 L-shaped holes featured in the manuscript’s artwork of the Shroud, existed on the Shroud itself. Thus, this Pray Codex, as it’s often called, poked holes in the 1988 study, even before it started. It is said that scientists throw out carbon-dating results that don’t support their hypotheses; and keep the ones that do, even when all the other evidence proves them to be wrong. In this instance, we have the proof that they do that. Maybe some would like their hypothesis that Jesus was a myth proven; maybe some would like for Him to not have existed at all; and maybe some just want His Throne, because everybody wants to wear a crown. The story gets a little dirtier. Because in 1986, researchers published an article about the dirt they found on the Shroud. Joseph Kohlbeck, of the Hercules Aerospace Company, and Richard Levi-Setti, of the Enrico Fermi Institute, both confirmed that the aragonite dust found on 1978 samples matched the ones given to them by archaeologist Eugenia Nitowski, who obtained new samples from burial tombs in Jerusalem. In the Gospel, Jesus instructed His disciples to take nothing and go preach the Word and help heal the world. “And whosoever will not receive you, when ye go out of that city, shake off the very dust from your feet for a testimony against them (Luke 9:5).” Looks like Jesus may have shaken off a little dust of His own. “The Light of Knowledge of the glory of God in the countenance of Jesus Christ,” Paul said, describing Jesus as light. John also referred to the Light and Jesus Himself called Himself the Light of the world. Paul also wrote, “But we have this treasure in earthen vessels that the excellency of the power may be from God, and not of us (2 Cor. 4:7).” In Paul’s letters, he seems to understand the spiritual-soul aspect of humans; and maybe referred to the Shroud image in his eloquent rhetoric – “Who being the brightness of [His] glory, and the express image of His person, and upholding all things by the Word of His power (Heb. 1:3)… But we all, with open face beholding as in a glass the glory of the Lord, are changed into the same image from glory to glory, [even] as by the Lord Who is Spirit (2 Cor. 3:18).” Many have tried to decipher his letters, but turned into Paulians with philosophical ideas, whilst doing so. It might be interesting to look at his letters in basic terms, with him having already understood what we are beginning to realize today. There’s more to life than being human, or slaves in an evil system designed by a grand architect named Lucifer. There’s an end to this madness – an appointed time. Paul went on to call our bodies tabernacles that when dissolved, would become a house not made with hands, eternal in the heavens (2 Corin. 5:1). Was he using the Shroud as a reference? If we are these eternal light Beings as the scripture describes, and as Jesus demonstrated, again, what are we doing here? Jesus said that if we do not emulate Him, we would not see the Father. Thus, it would be prudent to study every single Word He said, to understand this transformation; and what is required. He was and is The Messenger and Master, still. Paul was only a student. In Thomas, Jesus explains that human Beings are two, meaning a human-animal plus a Spiritual Being; and that when we make them one, we can enter the Kingdom. This means the outer human one must reflect the inner Being that’s connected to God. “Within a man of Light there is Light and he Lights the whole world. 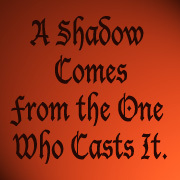 When he does not shine, there is darkness (Thomas 5:3).” When we suppress the Christ in us; when we don’t reflect His values; when we hide our light under a bushel, or in a body, our world grows dark. In this darkness, many run around, saying, “Look at us, see how clever we are.” We’re still acting like wild animals, causing wars, oppression, disease, contempt and hoarding up riches in a finite world. The life-force in everyone has been reincarnating into the next body to learn from the good and evil karma it brought upon itself. We weren’t imprisoned here to have fellow prisoners make up their own rules, become “royalty” or governors and blindly lord-it over us, exalting themselves in high places. God didn’t give Beings one lifetime, we’d need hundreds. There’s not going to be a missing-link found, because Darwinism is simply “out-dated”, rooted in fantasy. Darwin himself may be the baboon in question. Scripture tells us that it is man who will transfigure into Spirit. Man evolves to Spirit. Now, this is revolutionary and forward thinking – with Jesus being the first Revolutionist. Another book sent to help us understand our many lifetimes was the Koran, which was supposed to be added to the Bible. “If ‘I AM’ were to punish men for their wrong-doing, He would not leave, on the (Earth), a single living creature: but He gives them respite for a stated Term: when their Term expires, they would not be able to delay (the punishment) for a single hour, just as they would not be able to foresee it (for a single hour) (Sura 16:61).” If the scientific world was really measuring time, it would discover it’s really almost run out for them; and the hidden hand will stop. A child-sacrificing Satanist may believe he takes the life-force of an innocent; but look at who he is listening to still – Lucifer the Liar/Devil. That’s why he is called the Devil and Satan and we are called the fallen angels. Our energy gets trapped in cells; and the one thing we must learn is to stop listening to the little devil. We have to prove we’ll fight him, not God. This apparently has taken hundreds of reincarnations, because we’re still here – and all we’ve proven to the Heavens, to God and to the Archangels, is that we deserve to be here, and not running amuck beyond our atmosphere. The Ruler of the Universe has sent help, messengers who listen to Him; but we kill them or drive them out. “By ‘I AM’, We (also) sent (Our Apostles) to Peoples before thee; but Satan made, (to the wicked), their own acts seem alluring: he is also their patron today, but they shall have a most grievous penalty. And We sent down the Book to thee for the express purpose, that thou shouldst make clear to them those things in which they differ, and that it should be a guide and a mercy to those who believe (Sura 16:63-64).” [Please note that the Koran is not the Hadiths, any more than the Talmud is the Torah or Catechisms are the Bible]. “… By ‘I AM’, ye shall certainly be called to account for your false inventions (Sura 16: 56).” Thus, if radiocarbon-dating is a false invention, it falls into this category. “The Lord knoweth the thoughts of the wise, that they are worthless (1 Cor. 3:20).” If it’s used to deceive man, then it is a lie, also against The Law – it’s just “an occasion (for Satan) to deceive the world: for men, serving either calamity or tyranny… Moreover this was not enough for them, that they erred in the Knowledge of God; but whereas they lived in the great war of ignorance, they called that multitude of evils peace. For whilst they slew their children in sacrifices, or used secret ceremonies, or made revellings of strange rites (Sol. 14:21-23).” If radiocarbon-dating is just bad science, fallible and unreliable; it should have been discarded long before it built its own mountain. In 2011, Dr. Paola Di Lazzaro and others were able to achieve the superficial coloration on raw linen fibers by excimer laser irradiation, associated with ultraviolet light. 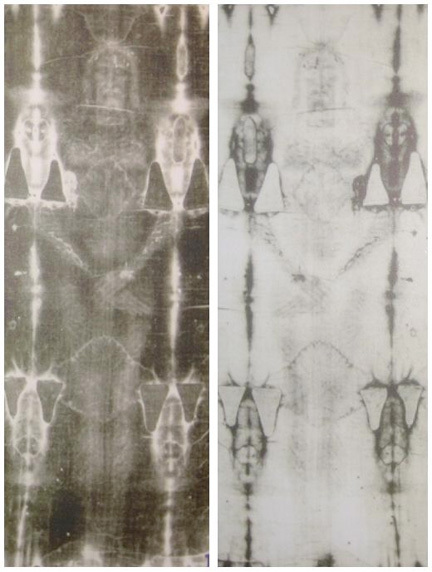 Lazzaro said, “Our research proves that it is very difficult (almost impossible) replicating today all the main physical and chemical characteristics of the body image embedded into the Shroud of Turin.” They concluded that the image was formed by a sort of electromagnetic source of energy. From Dr. Fanti’s 2010-2013 research into how the image was created, he concluded the image was produced by a burst of exceptional radiation, saying “If we want today to reproduce a quite similar image on a fabric in 1/2 scale, we require a voltage of about 300,000 volts, but according to the American scientist Igor Bensen, a voltage of 50,000,000 volts would be necessary for the Shroud body image in a 1/1 scale.” The most convincing evidence that it is genuine, and not a man-made forgery, is the fact that we cannot recreate it today, even with current technology. That is because it was undoubtedly caused by a supernatural event, and the resurrection was most-assuredly a supernatural event. Jesus is often described as the Sun and the Sun of Righteousness. Enoch described Christ’s spirit as a brilliant light, “brighter than the Sun and whiter than snow. No angel was capable of penetrating to view the face of Him, the Glorious and the Beaming, nor any mortal behold Him. A fire of flaming fire was around Him (Enoch 14:22-23).” The fire is radiant energy, Light. It is our connection with our Creator. 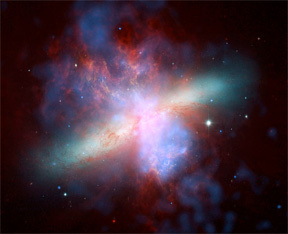 This puts a whole new meaning to how the Heavens record our every thought and action, because our Light-connection records our every move for Him, which is a little more advanced than man’s version of fiber-optics and his understanding of “faster than the speed of light”. Daniel describes Christ as a diamond, a Stone cut out without hands, who will destroy and grind into powder/chaff, the world’s greatest empires described as iron and clay (The EU) Iron (East/West Roman), brass (Greek), silver (Medo-Persian), and gold (Babylon), so they blow away. They will be broken and replaced, and “the ‘Stone’ that smote the image became a great ‘mountain’, and filled the whole earth (Dan. 2:34-35).” Because mountain is code-word for government, Christ will be the Governor, High Priest, and King, once the appointed day arrives. Those who have spent centuries covering up the Truth will find their reward (punishment) for it. After the Shroud surfaced, each decade has brought us closer to learning the Truth – it’s been done in stages, because God is most merciful, patient and kind. The heraldry symbols from around the world may offer a picture-book into a very ancient past, and one not created in medieval times; although in an era where forgery was common practice with their find-and-replace tactics. 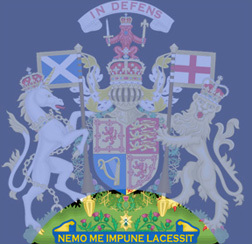 If the Shroud is a calling card with the message “Nemo me impune lacessit” as featured on Scotland’s Coat of Arms – maybe it reached its intended recipient; and in fact, is in the correct hands. After all, it’s in Latin. – Wikipedia topics: Shroud of Turin, Sudarium of Oviedo, Chinon Parchment, Knights Templar, Pray Codex, Kingdom of Scotland and others. ← Tony Farrell – From Whistleblower to Disciple?